This simple, non-invasive test detects bacterial overgrowth in the small intestine, a common condition that often underlies chronic symptoms of maldigestion and malabsorption, including bloating, gas, diarrhea, irregularity, and abdominal pain. 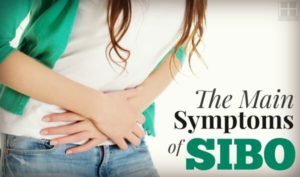 The use of natural medicine based antimicrobials, probiotics, and digestive enzymes can be an EXTREMELY important part of treating almost any gastrointestinal related conditions and are especially important in SIBO. They should be used, however, under the direction of a doctor trained in naturopathic/functional medicine because the dosage and timing of these products are critical in using them safely and effectively.